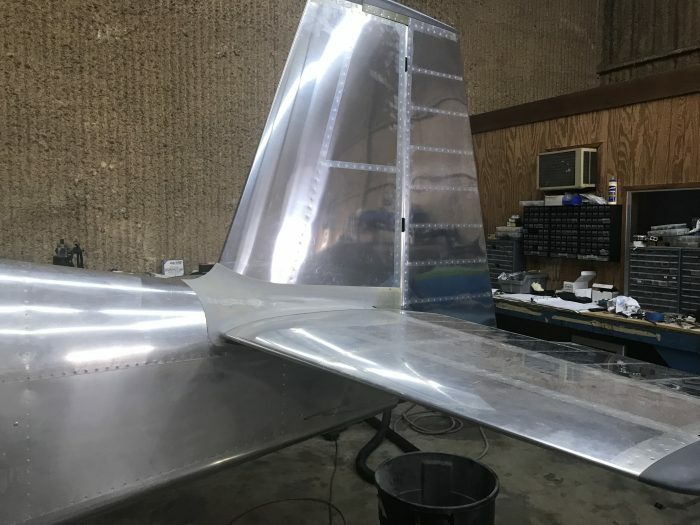 After a dose of Cabosil where the fairing meets the aluminum and hours of sanding the empennage fairing is looking pretty good considering this was cut into three pieces to fit the showplanes fastback. Pinholes to fill, smoothing, sanding and primer are all that’s left. 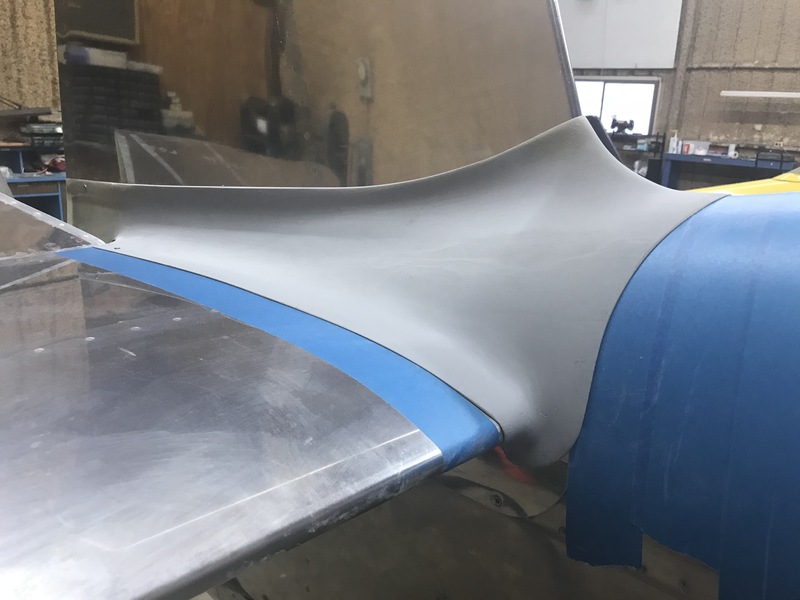 The fairing is held on with four screws on each side. It doesn’t need any more the fit is so good. The fairing wraps around the leading edge of the HS about an inch. 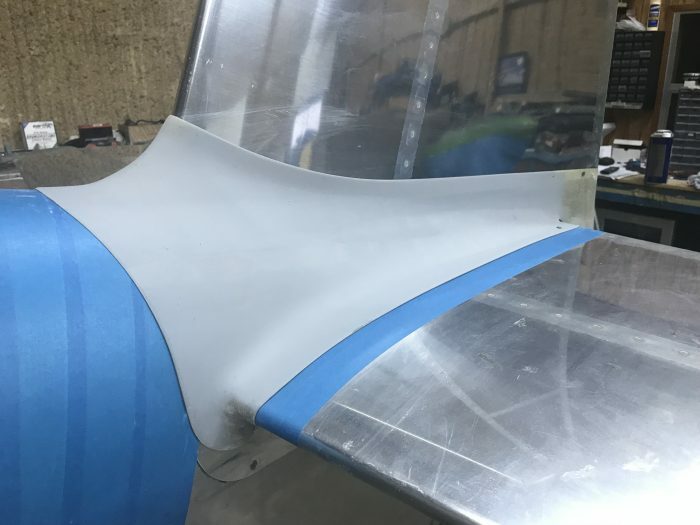 This does make it slightly more of a task to remove but that’s a small price to pay for a good fitting fairing that doesn’t have screws every two inches. You can see two of the screws at the aft end. The other two hold the aft bottom in place, so you really only readily see two. The tape is there playing the part of paint. I wanted to make sure I can get this off with paint or vinyl. 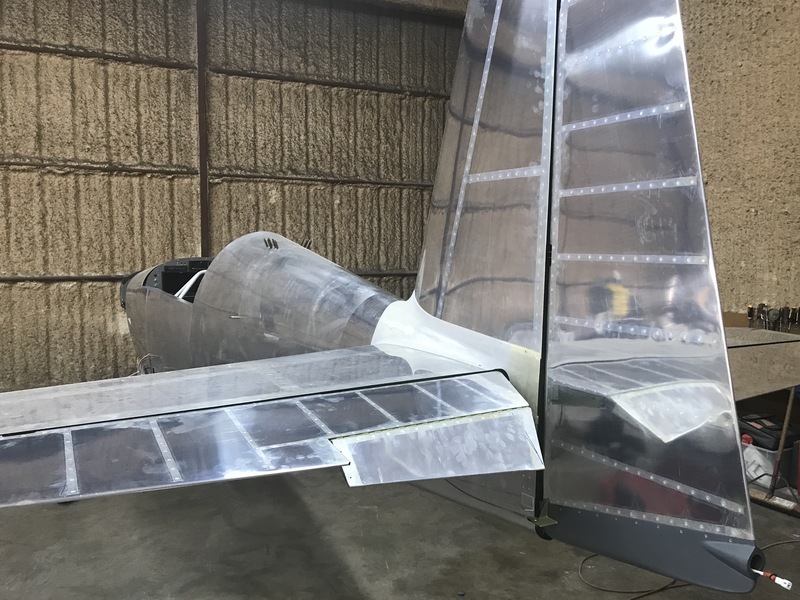 Final installation of the elevators and rudder. Afterwards I installed the rudder strobe and trim motor.